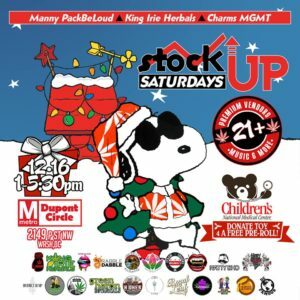 Save The Date‼️ Join Us as Manny PackBeLoud, King Irie Herbals and Charms MGMT brings you Stock Up Saturdays! Our goal is to create a forum that gives small businesses an opportunity to effectively build awareness within our community. We want to create an environment that promotes networking, education and resource sharing. By doing so, we diminish stigmas attached to our community. This event will feature premium vendors, flower bar, music & more! Follow Us on IG (@stockupsat) for location and updates. Location released on Fridays. See you there!